Guess what! I don’t really like people all that much, except when I’m hanging out on social sites and such. I am an introvert, and extroverts, for the most part, do not understand me or my reasoning. I have also had problems with finding dates and delving into relationships, all because of the fact that I’m sort of reclusive. But being an introvert is not what it seems. It’s all about being unsociable or quiet. Being an introvert is a state of mind and strong preference fueled by character. 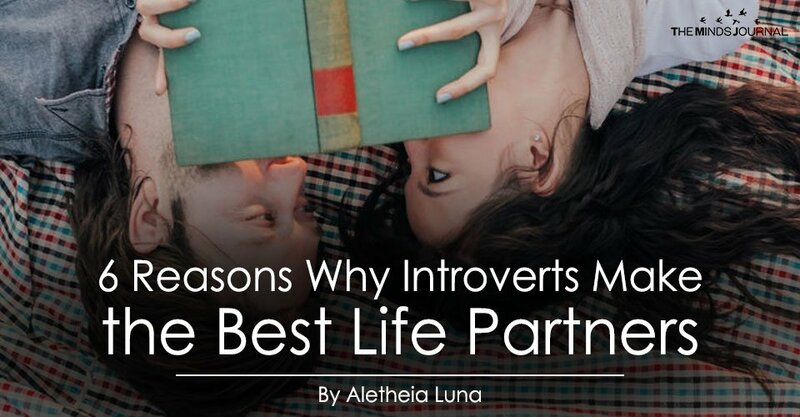 And you know what else…introverts make the best life partners. Despite all those things I said about how introverts are hard to understand, they are magnificent! No, really, it’s true, and here’s why introverts make the best loved ones. Some introverts are quiet when they first meet someone. After a while, the introvert will either talk more or remain silent, for the most part. Whether they talk or not, they are always listening. Generally, introverts are introspective, and with this inner examination, they look to others in the same way. Introverts want to hear what you have to say, feel or think because we know there’s much more to humans that entertainment value. You know those people who stand around talking in the grocery store and stay on the phone for hours with friends, yeah, that’s not an introvert. If you love an introvert, this irritating behavior just won’t happen-at least it will be a rare happening. Introverts don’t really gossip, and they don’t have time for drama. Know that if you are in a relationship with an introvert, it’s not a frivolous thing. Introverts take relationships seriously and have few friends. This means that the connections that they do make are true ones. Know that you are special to an introvert, not just an association or temporary fling. Since introverts aren’t loud and boisterous, they have a mysterious way about them. Most people in relationships with introverts find them charming because these quiet ones seem to have layers. No matter how much you spend time with the introvert, you will never seem to gather all the information. They are just so intriguing. Be sure that if you introduce your introverted mate to your friends, they will be modest. They will not flirt with your friends, making you feel inadequate or jealous either, it’s just not in their nature to pursue randomly. Introverts are loyal in the modesty and only wish to concentrate on the one they are with. Now that has to be a relief. Let’s face it, introverts do a lot of thinking, since they are rather quiet and all. And since they do all this brain work, it stands to reason that they are confident in who they are. They know what makes them happy, they know what makes them upset because they constantly reason and consider all aspects of life on a daily basis. They think so they are content with who they are. Thus, if they know how to be happy with themselves, they will know how to make you happy as well.